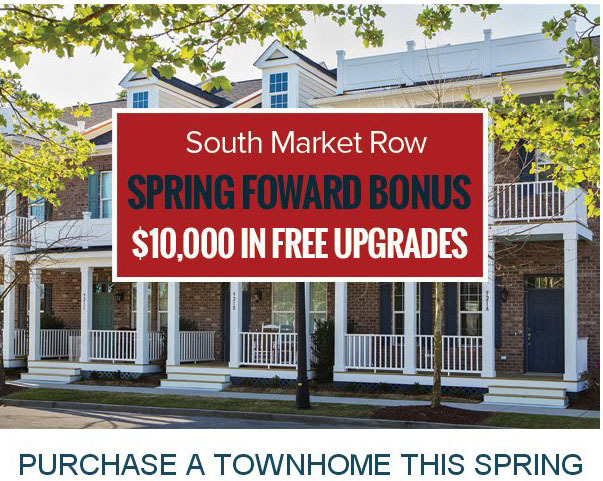 The South Market Row townhomes are some of the most recent developments by Dock Street Communities in Market Common, and should prove to be just as popular as the many others they have so successfully launched. With Market Common being THE place to live on the Grand Strand, and with the quality and design of all their projects, these beautiful brick homes are just about guaranteed to be a hit. The townhomes come in two models; the 2 bedroom Georgetown and the 3 bedroom Charleston. Both are larger than average townhomes and offer all the expected upgrades, such as granite countertops, hardwood and tile flooring, 10 ft ceilings, walk-in closets, covered porches on both levels, slate appliances, and a special perk - membership to the Market Common amenity center. The Georgetown 2br 2.5 bath homes offer 1282 sq ft heated, a private 1 car garage, 2 stories, and start at $269,900. The Charleston 3br 2.5 bath homes are 1711 sq ft heated, have a 2 car garage, 2 stories, and start at $309,900. Market Row's location is one of the best. Walk to the amenity center, Valor Park with its movies and events, and the retail center. Market Common is just under a mile to the beach, close to the airport, the State Park, Coastal Grande Mall, and more. 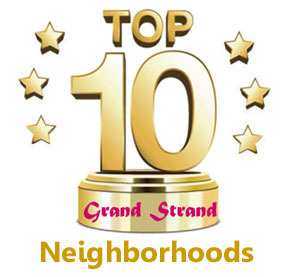 If you're looking for the perfect maintenance-free living in the best community the Grand Strand has to offer, let us get you in on the preconstruction stages of the townhomes in South Market Row. Call us for the latest information about early bonus offerings.